If you are thinking about undertaking some home improvement projects this year, stop by the Kansas City Remodeling Show and the Metropolitan Lawn & Garden Show to get some guidance! Both shows will have a wide selection of exhibitors and a few speakers. You can find out about anything from pest control to pool services, bathroom remodeling to skylights. $1 off with a Price Chopper Rewards Card, Limit 2 or pick up a $1.00 off coupon at your local Westlake Ace Hardware Store. Don’t miss out on this chance to talk to experts and find some businesses that could help you with any of your home and garden projects! Thinking about relocating your business to the Kansas City area and looking for a commercial real estate broker in Kansas City? 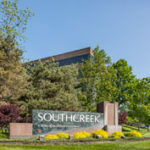 Give Kathy Woodward at DDI Commercial a call at 913-685-4100 and she will tell you all about Southcreek’s available spaces, conveniently located in the heart of Johnson County!